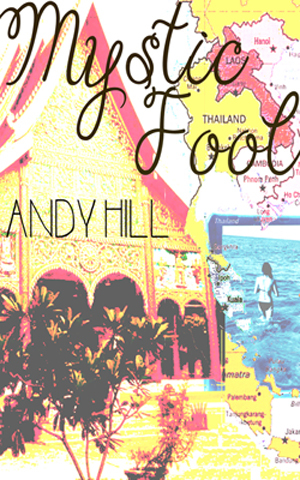 A spirited romp across Southeast Asia, Mystic Fool follows the exploits of a young man, led by alchemy and alcohol, as he explores the inner and outer planes. Beginning in the islands of southern Thailand, he heads to the ancient capital of Siem Reap and up the coast of Vietnam to the chaos of Hanoi. Jettisoned to a farm in northern Laos milking goats, we then find him guzzling rum with a guru in the Golden Triangle, and later in Pai, embracing the mystery. With caution abandoned and destiny swooned, this lyrical jaunt soars and enchants with each bus, train, and tuk tuk ride.